Let me guess… you’ve seen at least 10 posts by now about the Nordstrom sale right? Every time a big sale happens, I feel like the blogging world goes crazy. Sometimes, as a reader, I feel like I am over-saturated with a lot of the same posts all at the same time. With that being said, it’s usually for good reason! Any time Nordstrom has a sale, I have to admit that I am completely sucked in. It is so easy to find so many cute pieces for such great prices. Usually a lot of the items I’ve had on my wishlist go on sale, and when that happens, it’s all over! 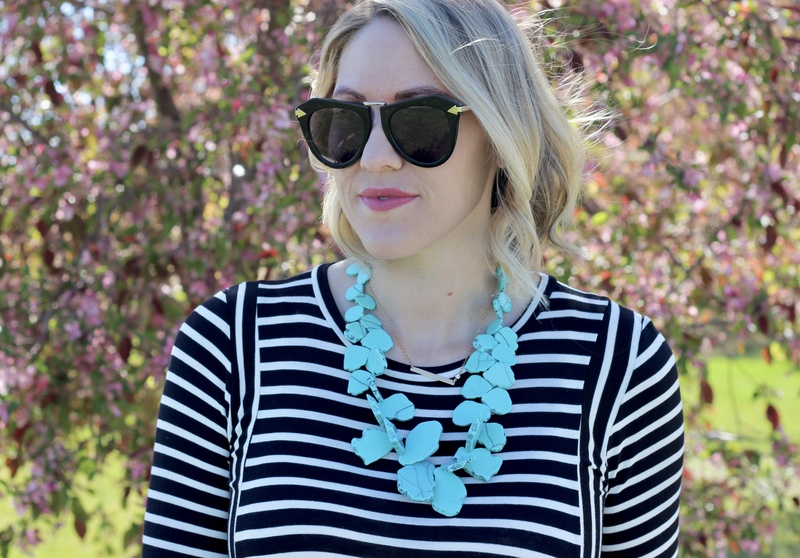 The beautiful Baublebar bib necklace I am wearing above is on sale for 40% off, which pretty much never happens. I love the pop of color it adds to any outfit, and I am always getting compliments on this piece. Another one of my favorites from the sale is the Lush roll tab sleeve tunic I am wearing below. 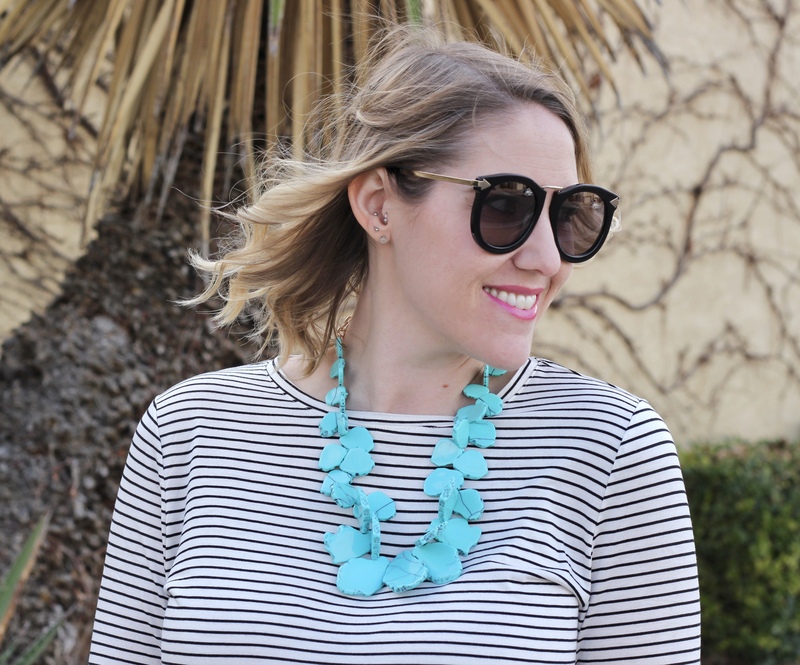 It comes in 7 colors, is under $30, and is definitely a year-round staple of mine. It fits a little oversized, and perfect to wearing with your favorite pair of jeans or leggings. I definitely plan on picking up this Free People tank and Sole Society pumps before the sale ends on June 4th! 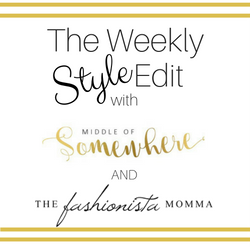 Be sure to come join Megan from The Fashionista Momma and I at the end of the post for The Weekly Style Edit link up. Also, if you haven’t joined already, we would absolutely love for you to join our new Facebook group! It’s still in the very early stages, but we are hoping to create a community for women from all walks of life that share our love for fashion. 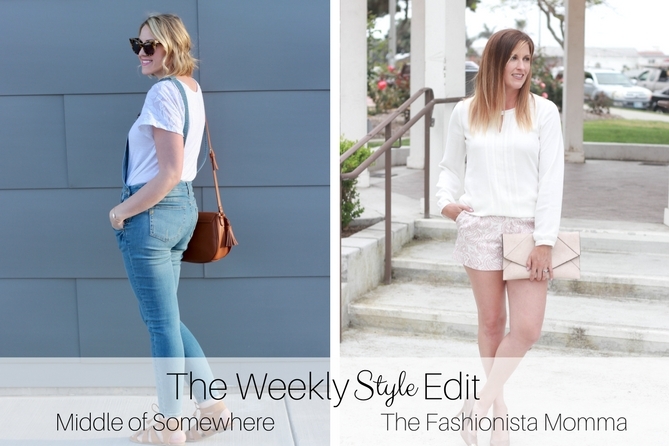 You can also hop over to our Pinterest page for more style inspiration! I hope you all have a fabulous Memorial Day weekend!